How do I invite guests that I've sent an invitation to before? If you want to send an invitation to someone you've sent to in the past, you can use the Past guest lists option to see a full list of older contacts. 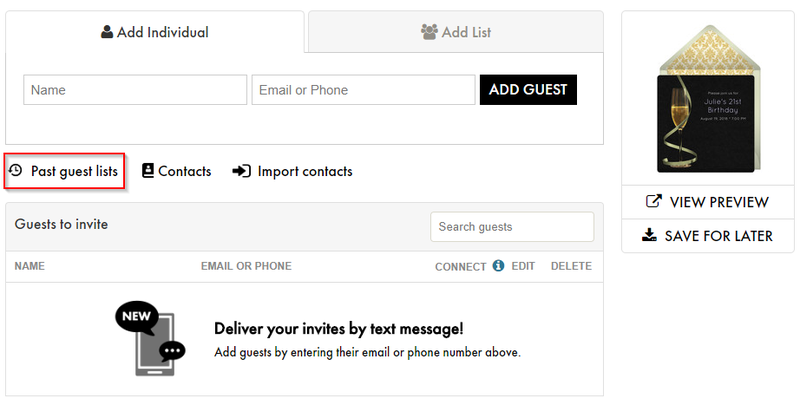 On the Add Guests page, the Past guest lists button will be located next to the Contacts and Import contacts button. Once you click this link, you'll be shown all the previous invitations you've sent out. Click on an invitation to see the email addresses for that event. You can then add individual contacts by clicking the check mark next to their name or use the Select all button to add all of the contacts at once. Once you're done, click Add to list to finish up. 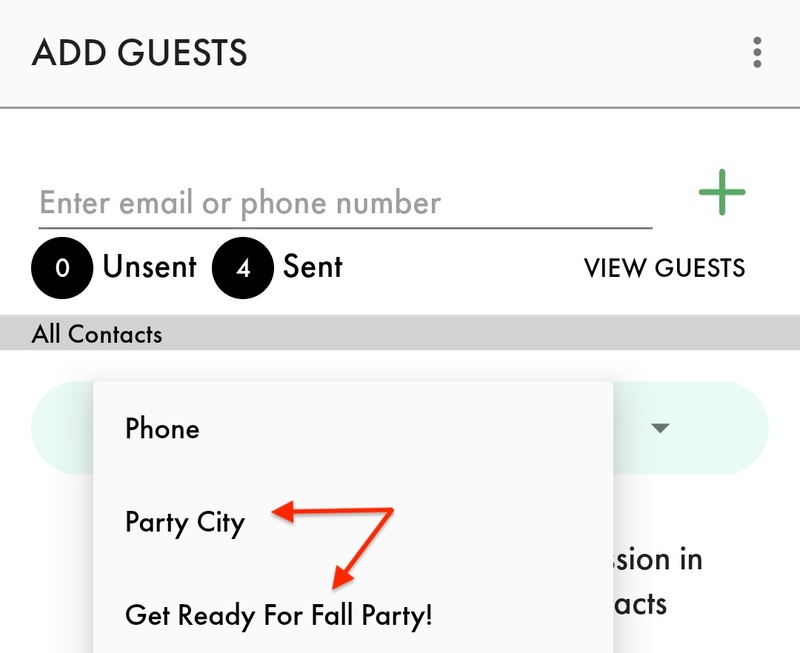 You can also access your past guest lists when creating invitations with the Party City mobile app. First, on the Add Guests page, you are going to want to tap on the blue Phone button. Once you click on this, a drop-down menu will appear. 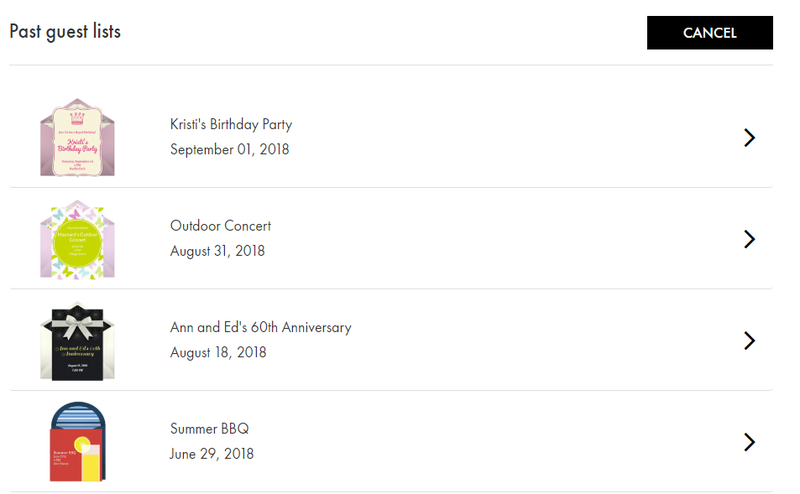 You can either select Party City to see all of your stored Party City contacts or you can select the title of your previous invitation to see the past guest list you are looking for. From there, you can then add individual contacts by tapping on their email address or phone number. Once you're done, click the black Continue button to proceed with the rest of your invitation.